Publications on South Asia; publications on China, Laos, and Vietnam are not included. 1969 “Groene revolutie in India en Pakistan.” Wetenschap en Samenleving 23,8-9: 157-162. 1975 Vuil werk, schone toekomst? Het leven van straatvegers en vuilruimers: een onderzoek in Bulsar (India) en verkenningen in Peking, Shanghai, Tientsin en Tangshen (China), Amsterdam: Van Gennep. – Also published as PhD thesis University of Amsterdam. 1979 “Caste, poverty and disease: some observations in an Indian town.” In: Sjaak van der Geest and Klaas W. van der Veen (eds), In search of health: essays in medical anthropology, Amsterdam (Uitgave van de vakgroep CANSA, Universiteit van Amsterdam 17), pp. 131-143. – & H. Schenk, “The setting of polarity: an introduction to the research area.” In: S. Devadas Pillai and C. Baks (eds), Winners and losers: styles in development and change in an Indian region, Bombay, pp. 13-27. – “The people of Dhobi Talav: poverty and solidarit.” In: Ibidem, pp. 141-163. – “Caste, poverty and disease, some observations in an Indian town.” In: J.van der Geest and K. van der Veen (eds), In search of health, essays in medical anthropology, University of Amsterdam, pp. 131-145. 1980 “Koude rijst en hete curry.” In: A.T.Davelaar et al. (eds), De ene mens is de andere niet, essays over gelijkheid en ongelijkheid, Muiden, pp. 33-40. 1981 Review Een sociaal-wetenschappelijke landenstudie die in een behoefte voorziet of: B.J.S Hoetjes, D.H.A Kolff and D. Kooiman, India, Haarlem 1980. De Nieuwe Linie, april 29, p. 14. 1982 “Een weg vinden die wetenschap tot een vriendin van de allerarmsten maakt.” IMWOO Bulletin 10,1 (Nuffic): 7-9. – Women’s work without status: ‘outdoor household-servants’ in Alleppey (Kerala), Interim Report no. 11, Indo-Dutch Kerala Research Project, South- and Southeast Asia Section, Centre for Anthropological and Sociological Studies. 1984 “Women’s work without status: outdoor household servants in Alleppey.” In: Kenneth Ballhatchet and David Taylor (eds), Changing South Asia : [papers presented to seventh European conference on modern South Asian studies, held in London from 7 to 11 July 1981] , 5 vols, London SOAS, vol. 4: Economy and society, pp. 45-63. – & H. Schenk, Poverty and survival in central Kerala. Working Paper no. 49, Department South and Southeast Asia, University of Amsterdam, 57 p.
1986 “Waarom worden er bruiden verbrand in India? De bruidschat en het geweld tegen jonge bruiden.” Tijdschrift voor Vrouwenstudies 25: 30-46. – & Egbert Pelinck, Nalini Kumar and Freerk Wiersum, Report of the mission of the government of the Netherlands on the identification of the scope for Forestry Development Cooperation in India. Annex 2: People, trees and forests in Indian society, anthropological and sociological dimensions. 1987 “How to survive without clientage? The impact of transformation processes on the labour relations of women domestic servants and coolies: a case study.” Journal of Kerala Studies 11,1-4: 23-36. – & N. Beun et al., Report of the evaluation mission, phase I, North Bengal Terai India (India Netherlands Cooperation Project): small scale irrigation and soil conservation and soil improvement projects, vol I: Main report, vol II: Project document phase II, vol. III: Annexes of vol. I. – Inception report women, water and sanitation, New Delhi. 1988 Poverty and survival: Kudumbi female domestic servants and their households in Alleppey (Kerala), New Delhi : Manohar, 108 p.
– & Satish Kumar and Maeve Moynihan, Towards an integrated health promotion approach, Kanpur. – Planning and methodology for community participation, Mirzapur. 1989 & G.K.Lieten and Olga Nieuwenhuys (co-eds), Women, migrants and tribals, survival strategies in Asia, New Delhi: Manohar, 183 p.
– “Survival without patrons and matrons: female domestic servants and coolies in Kerala.” In: Ibidem, pp. 121-136. – Women and work, proposal for income generating activities in Kanpur and Mirzapur, New Delhi. 1990 “Gender and environment: survival strategies of poor households and self-organization of women.” In: Poverty eradication in India, short term options and long term perspective: proceeding and papers, Workshop by IDPAD and Ministry of Foreign Affairs, Department of Development Cooperation, Gvt of the Netherlands, The Hague July 9, The Hague. – Also published as “Poverty Reduction in India.” In: Ministry of Foreign Affairs, Poverty Reduction in India, analysis and policy, The Hague. – Banaskantha women’s rural development project, SEWA’s two-year’s ground work: project proposal 1991-1996 , New Delhi. 1991 “Empowerment of women: what is its scope in a bi-lateral development project? The case of a small-scale irrigation project in North-Bengal (Terai area).” EPW 26,17: Review of Women Studies, pp WS 27-35. – “Women and cooking technology: the vicissitudes of improved stove projects in rural Gujarat.” In: H. Streefkerk & T. Moulik (eds), Managing rural development, health and energy programmes in India, New Delhi: Sage (Indo-Dutch Studies on Development Alternatives 7), pp. 161-190. – & Geeta Menon, AGRAGAMEE: food and voice. – & Rensje Teering and Philip Viegas, JAMKHED: flowers in the dust. – “India: van spelen tot beleven, met kinderen op veldwerk [From playing to experiencing, doing fieldwork accompanied with children].” LOVA Landelijk Overleg Vrouwenstudies in de Antropologie 13,2: 14-27. – Report of the hand-pump training course for women care-takers and mechanics, Bangalore. – & Gordon Tamm and Amjad Hussaini Khan, Report of the EIP programme evaluation mission, Bangladesh, Dacca. 1994 “Sustainability for whom? Lessons from the North Bengal Terai small-scale irigation project.” In: Margaret M. Skutsch, J. Hans Opdam & Nico G. Schulte Nordholt (eds), Towards sustainable development: a liber amicorum for Enno W. Hommes. University of Twente, Enschede. – & N.C Choudhuri, Final report of the follow-up study, 1989/90 to 1992/93; women and irrigation, report no 12 of the Research and Evaluation Unit, Bagdogra. – Main findings of the socio-economic impact study, report no 15 of the Research and Evaluation Unit, Euroconsult, Siliguri. – Strengthening of women in CPP: action plan 1994-1995, Tangail. – Principles and workplan embankment maintenance groups, Tangail. 1995 Editor of: Women and Seasonal Labour Migration, New Delhi: Sage Publications, 345 p. (Indo-Dutch studies on development alternatives 16), 345 p.
– “Introduction.” In: Ibidem, pp. 9-22. – “Hopeful alternatives to forced migration.” In: Ibidem, pp. 301-329. – “Conclusion.” In: Ibidem, pp. 330-343. – “Gender in Field Reserch: experiences in India.” EPW 30,17. Review of Women Studies, pp. WS 38-46. – Report women in development/gender component, Tungabhadra Irrigation Pilot Project, Phase II, Munirabad. 1996 Report of the evaluation of the working women’s forum, phase II, Madras, India. – Rural women in Tungabhadra: gender, water management and empowerment: a study in five villages and four camps in the command area of the D-36 Distributary, Munirabad. – Report women (gender) in development, (second mission), Munirabad. 1997 Report women in development/gender component, (third mission). Munirabad. – & Shanta Mohan, Rural women in Tungabhadra: gender, water management and empowerment, a study in five villages and four camps in the command area of the D-36 distributary, Munirabad. 1998 “Gender in field research: experiences in India.” In: Meenakshi Thapan (ed), Anthropological journeys, reflections on fieldwork. Orient Longman, New Delhi. 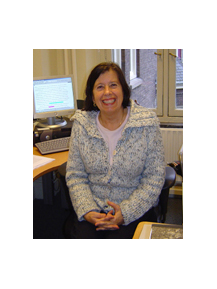 1999 From critical studies to empowerment: the development of anthropology/non-western sociology in Amsterdam, paper presented at the conference on 100 years anthropology in the Netherlands, Amsterdam. -… Reports of the sociologist/gender specialist’s missions (1-11st mission), Tank Rehabilitation Project, Pondicherry, European Commission, Government of Pondicherry. The 12 steps manual for community organisers in the Tank Rehabilitation Project, Pondicherry. Script video: The Tank Rehabilitation Project Pondicherry (2001), Script and manual video: Women, tanks and empowerment (2004). 2001 “Women, water and sanitation in the slums of Bangalore: a case study of action research.” In: H. Schenk (ed. ), Living in India’s slums, a case study of Bangalore, New Delhi: Manohar, pp. 187-212. – Review of: Upendra Gautam & Shrish Rana (eds), Challenges to framer managed irrigation system: Proceedings of International Seminar on Challenges to Farmer Managed Irrigation Systems Held on 28 and 29 March 2000, Kathmandu, Nepal. Indigenous knowledge and development Monitor 9,3: 31. 2002 Report of the mid-term evaluation of the working women’s forum, phase III, Ministry of Foreign Affairs, Directorate General for International Cooperation The Netherlands, Empowerment, Chennai. 2003 & Niren Choudhury, From heroines to beneficiarries: from beneficiaries to heroines? The impact of a small-scale irrigations project on gender in the West Bengal Terai, New Delhi: Manohar (IDPAD Series). 2004 & Rosanne Rutten (eds), Andere verhalen uit Azië en onderzoek: aangeboden aan Ot van den Muijzenberg bij zijn afscheid als hoogleraar sociologie en moderne geschiedenis van niet-westerse samenlevingen, in het bijzonder van Zuid- en Zuidoost Azie , Amsterdam: Het Spinhuis. – “Flash-backs.” In: Ibidem, pp. 12-19. – “Een beetje empowerment misschien.” In: Ibidem, pp. 83-89. – “Some gender dimensions in managing water scarcity.” In: A. Vaidyanathan & H.M. Oudshoorn (eds), Managing water scarcity, experiences and prospects, New Delhi: Manohar (IDPAD Series), pp. 371-400. 2007 Van emancipatie naar empowerment, van Peking tot Pondicherry: momenten uit 41 jaar UvA en ontwikkelingsprojecten in Azië , Apeldoorn-Antwerpen: Het Spinhuis. 2008 “The economic impact of re-loaning.” In: U. Kalpagam and Jaya Arunachalam (eds), Rural women and development in India, Jaipur: Rawat Publications, pp. 193-218. – “Gender, poverty and transfer of irrigation management: case study of the Tank Rehabilitation Project, Pondicherry.” In: S. Mahendra Dev & K.S. Babu (eds), India ’s development, social and economic disparities, New Delhi: Manohar-IDPAD, pp. 307- 344. 2013 “Gender and the community participation process in the Tank Rehabilitation Project Pondicherry: mainstreaming or male-streaming?” In: Olivia Aubriot (ed. ), Tank and well irrigation crisis: spatial, environmental and social issues: cases in Puducherry and Villupuram Districts (South India), New Delhi: Concept Publishing Company, pp. 270-302. 2014 “Remembering Professor Nirendra Chandra Choudhury: Empowerment in the Terai.” Journal of the Indian Anthropological Society 49: 185.